Athletic Training depends largely on the degree of organization of the process, Conformity used means and methods. 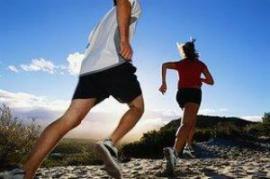 Only under such conditions can be achieved health benefits, high and stable athletic performance. Specialists will help you understand the features of the organization, coordination and development of sports training. Athletic trainers are part of the allied health profession, and work in a variety of ways to either help athletes heal from injuries or to help prevent injuries from occurring while athletes practice or compete. Teaching profession at the university level. Sports trainer can work alongside other medical professionals, with sports doctors. When an athlete is injured, the athletic trainer helps to carry out any plans and methods for healing injuries, helping athletes to continue their sports careers when they have fully healed. Depending upon the injury, athletic trainers use bandage, tape, methods allowing the athlete to continue in their sport. Also, athletic trainers work with athletes in rehabilitative activities, and continuing to note any problems or progress the athlete is making during recovery. Athletic trainers are at most sports programs to evaluate exercises, to make sure injuries are kept to a minimum. The sports trainer evaluates the type of exercises and movements in sport in order to determine whether certain exercises or activities pose potential risk of injury, they may help to evolve safe exercise regimens for athletes and educate athletes on avoiding activities that might result in sport injuries. When work at a sports team or school, he be present at sporting events: maintains supplies of basic first aid equipment, and any rehabilitative equipment if necessary; may be responsible for inventory of all needed items, and may be required to order new supplies. When an Athlete is injured, the trainer may work like a case manager, contacting all medical providers that the athlete will need to see, like doctors, physical therapists, chiropractors, and orthopedic specialists. The trainer may need to maintain records of an athlete’s work with several specialists at once. This assures that all orders regarding recovery are integrated into rehabilitative exercise plans.